So you decided to have your teeth whitened not because it has become a trend, but because you are aware of a bright white smile’s importance for your health and quality of life. Choosing professional teeth whitening services over home-made teeth whitening remedies is the way to go, but where to go and who to choose? After all, you can get your teeth whitened nowadays at your local spa or while you are on a cruise ship. But how efficient are such procedures in the lack of a certified and trained teeth whitening Lauderdale by the Sea FL professional? Let’s see today what you should know about a professional teeth whitening treatment and what to expect! 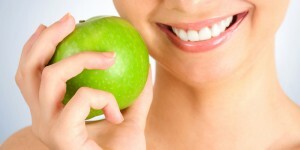 No professional teeth whitening expert will bleach your teeth without performing a deep teeth cleaning treatment first. You don’t paint you car without washing off the dirt on it, do you? Teeth’s cleaning is both a cosmetic and restorative treatment aimed to remove all the toxins, bacteria, plaque and tartar from your teeth and gums. Only after the doctor levels out the field you can truly benefit from a teeth whitening Lauderdale by the Sea FL procedure. Luckily for you, we offer all dental services under one roof so you will get both treatments efficiently. You can quickly differentiate certified and professional teeth whitening from amateur services: our licensed teeth whitening Lauderdale by the Sea FL experts will use the latest materials and equipment to offer you a safe and comfortable treatment, including gum protection. Sometimes the teeth bleaching agents might sting or irritate your gums so your doctor will do everything in his power to make things easy, non-invasive, and safe for you. The process of teeth whitening usually includes a bleaching agent and a Chairside lamp to accelerate the bleaching process. Once the treatment is done, your teeth might get a little sensitive for a couple of days. Your trained and skilled teeth whitening Lauderdale by the Sea specialist will further protect your teeth by treating them with a sensitivity paste. He may also recommend you some teeth cleaning products to use at home to reduce the post-intervention sensitivity. Your teeth whitening Lauderdale by the Sea FL treatments will be performed at the highest standards. They won’t take more than an hour and they will be totally painless and comfortable. We work with the latest and safest materials and equipment so you won’t feel anything but the friendly and warm, supportive and pro-active atmosphere in our office.